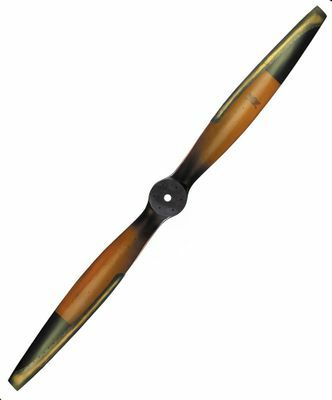 Our newest Vintage Flight Wooden Propeller with black tips is a fantastic gift for a pilot, airplane enthusiast, or anyone inspired by flight. 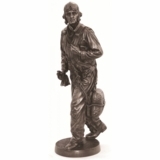 The large size, over 6 feet, makes an impressive statement positioned in a corner, or hanging on a wall in an airplane themed room. The leading edge, just like the old days, has brass edging. This was used to protect the propeller blade from stones, and such when most airports were grass fields. This Vintage Flight Wooden Airplane Propeller is crafted from solid mahogany wood. The propeller blades are finished in a handsome distressed medium brown color. The blades are themselves have attractive black tips with brass edging. 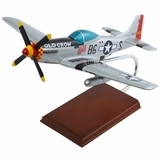 To complete the vintage look of the propeller a winged insignia is attached to one blade. Hanging hardware is included. Check out best selling large Vintage Flight Wood Propeller with 5-Star customer ratings.